Helier, a banker in the big smoke, is a proud owner of a beautiful two bedroom near Oxford Circus. The prime location and impeccable interiors of the property make it ideal for Airbnb travellers and an incredible investment for Helier. Helier came to Hostmaker as a dissatisfied customer of another management company in London. He was unhappy with their management techniques, and believed that they were not optimising his average daily rate, and consequently not maximising his income. Helier was right. At first glance of his calendar, the Hostmaker pricing team could see clearly that a bespoke strategy must be made to show that 100% occupancy does not always equal maximised revenue. It was a challenge they eagerly accepted. Ensuring a smooth transitional process for the host changing management company. Taking over a listing with a full calendar at alow nightly rate. 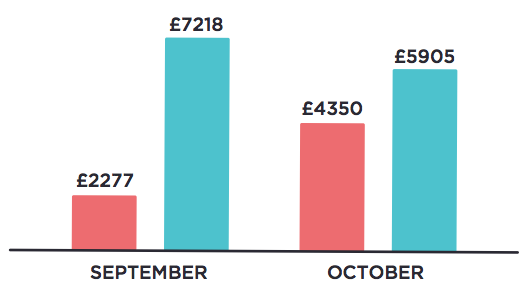 Implementing a pricing strategy to make the most of the remaining, available days in order to maximise income. Build a bespoke pricing strategy for Helier’s property taking into account other Airbnb listings in the area. Prioritise filling available days in between the longer, underpriced bookings created by the previous management company. Increase the overall average daily rate because the previous management company underestimated the full potential of the home. 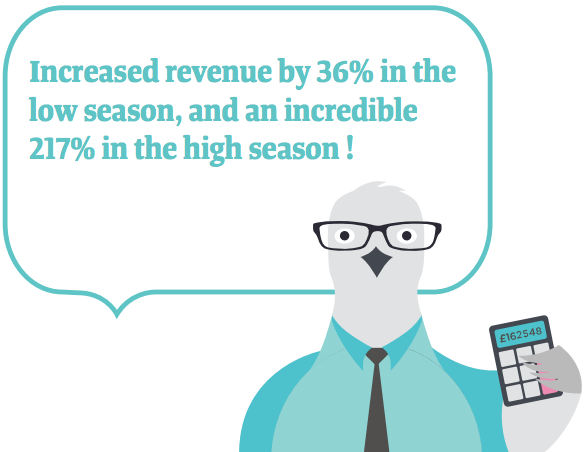 Maximised daily rate based on competition, data and seasonality. A happy host who can rely on us to understand and unleash the full potential of his home.